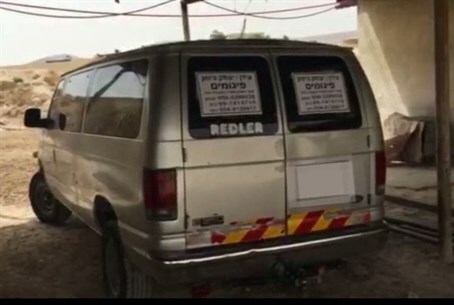 It was released for publication on Thursday that the police have arrested a Bedouin Arab resident of the Negev who murdered Aryeh Shushan, an inspector of the Egg and Poultry Board, by running him over with his car and leaving him to die in the southern Har Hevron region of Judea. An indictment will be submitted against the attacker on Friday together with a request to extend his detention until the end of legal processes. The attack took place in early June. On the day of the attack, a report was received shortly after 9 p.m. by the 100 police emergency hotline about a car suspected of smuggling eggs that fled Har Amasa driving wildly. While driving through the town the car ran over the inspector Aryeh Shushan and sped off, according to the report. Shushan was found at the roadside, severely wounded. He later died of his wounds. Large police forces were dispatched to the scene. Following an intensive investigation the suspected van was found two days later. On information gathered, the driver was afterwards found as well. Police commander of the southern district Maj. Gen. Yoram Halevy said that "according to the suspicions this is a serious and shocking act of driving wildly and intentionally inflicting serious wounds on a person, running him over and leaving him to die in the field." "The unforgivable disregard for human life, in this case by a criminal who harms and runs over to death a person to escape arrest, is infuriating," said Halevy. "I hope that the standard of punishment in this case will be serious and a deterrent in light of the seriousness of the acts."